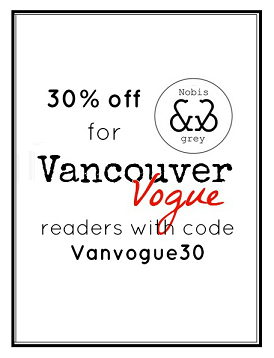 Vancouver Vogue: NYX Face Awards: Vote for Your Favourite! NYX is one of those cosmetics brands I grew up with; walking home from school with my girlfriends, we'd stop by the local drugstore and oogle at all the pretty palettes, and - far too often - find a colour we just had to have! Once upon a time, I was all about the amazing array of colours (and really, still am), but now I'm even more amazed by the variety of products. From setting sprays to face primers, NYX has it all. I was even more amazed at the recent London Drugs Beauty event, where I got to try out their newest lipsticks, glosses, liners and eye palettes. Showcasing some of the coolest stuff that can be done with NYX products, beauty vloggers are competing for the title of Beauty Vlogger of the Year as part of the 3rd Annual NYX FACE Awards. Inspired by the booming community of beauty vloggers on Youtube, NYX launched the FACE Awards to support and give recognition to these very talented beauty stars, acknowleding and rewarding them for their passion and creativity. If you're looking for some really cool beauty inspiration, and want to help support these talented digital influencers, you should definitely check out the NYX FACE Awards contest page. You can help decide which entrants will make it to the final round by voting for your favourite between July 21st and July 27th! The finalists will be flown to Los Angeles, CA to put together a professional look that will be judged by a panel of judges at the NYX FACE Awards Event on August 22nd. The Grand Prize Winner will receive a $25,000 prize, consultations with pro make-up artists, (gasp) a year's supply of NYX Cosmetics and the opportunity to build a promising career in the make-up industry! VOTE FOR YOUR FAVOURITE BEAUTY LOOK!